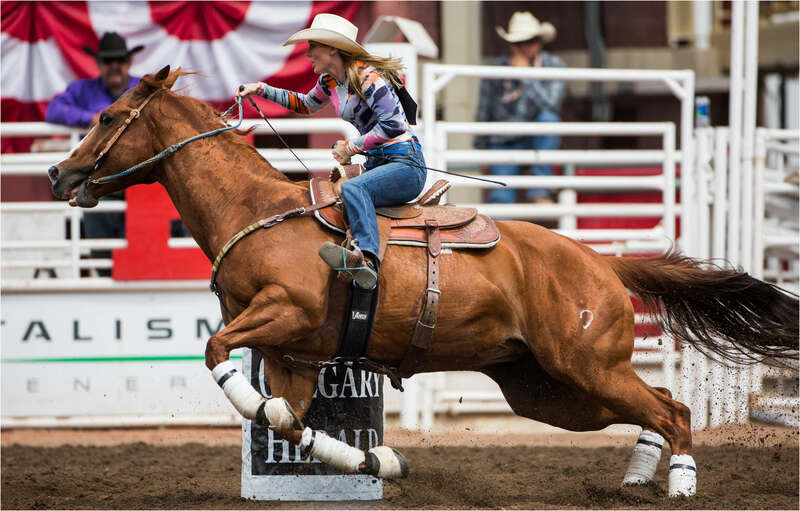 Lindsay Sears is a local barrel racer from Nanton, Alberta. 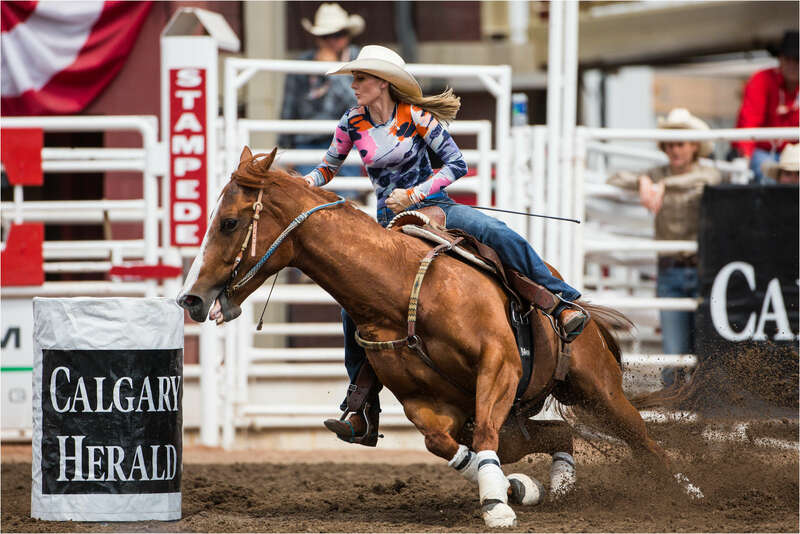 She won the Barrel Racing event at the 2008 Calgary Stampede as well as being a two-time Barrel Racing World Champion (2008 and 2011). The crowd went crazy when she raced today and it was well deserved. She is the best in the sport right now and is rightfully the hometown favourite. 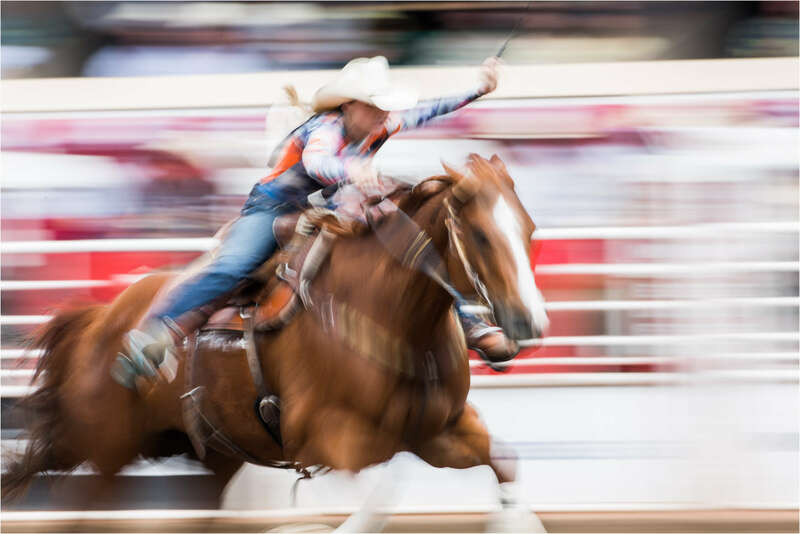 She has been getting faster with each day through the qualifiers at the 100th Calgary Stampede Rodeo this year. She won the Thursday Group B qualifier, with a time of 17.62 seconds. She is currently tied for 4th place in Group B with the last qualifier on Friday. I would expect she will keep getting faster and should earn her spot in the Sunday finals without rolling the dice in the Wildcard Saturday event. When the finals are run on the 15th, her track record would suggest it might be foolish to bet against her walking away the centennial champion. I can’t wait for that race – good luck Lindsay!